Boyne City Commissioner Laura Sansom says that research that led her to raise oncerns about the safety of putting fluoride in drinking water drove her vote to successfully stop the practice. Residents later overturned that decision. But Boyne City is also where the Michigan Community Dental Clinics have their corporate offices, and the company’s now-retired CEO, Dr. Thomas Veryser ‒ yes, a dentist ‒ said he was not impressed by the commission’s research. Apparently, lack of fluoride can't be counteracted by tinfoil hats! I just returned from visiting my son in Portland, Oregon. Portland does not put floride in their water. As a result my son has to give their children a daily dose of floride. Floride is a good thing for our dental health. 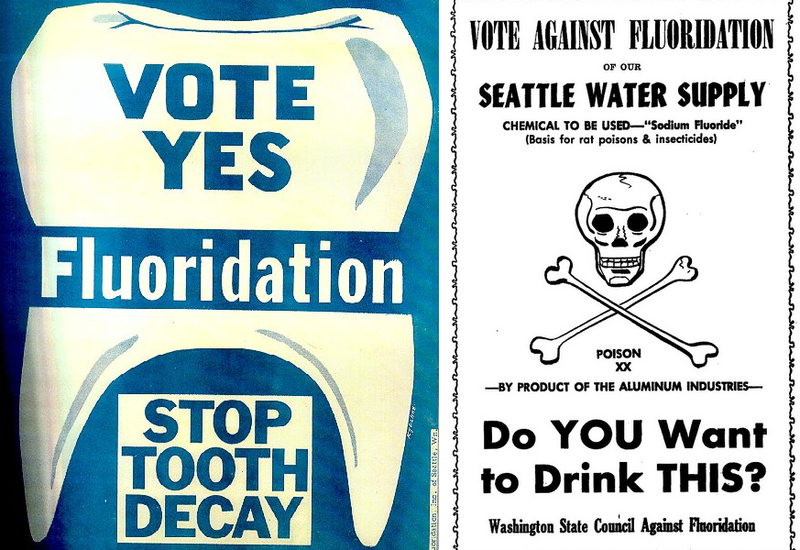 Despite the positive dental effects of water fluoridation, there appears to be a link with hypothyroidism. It seems like far too many people have thyroid problems. At first I thought this might be a result of some lingering effect of the Strontium 90 fallout from the 1950 A-bomb tests that supposedly impacted our milk supply. Now I'm not sure that the cause might be closer to home and more widespread. This has not stopped me from drinking good fluoridated water, but it does seem that ignoring a possible link because of a favorable dental outcome does us no good. More research on this subject is warranted.